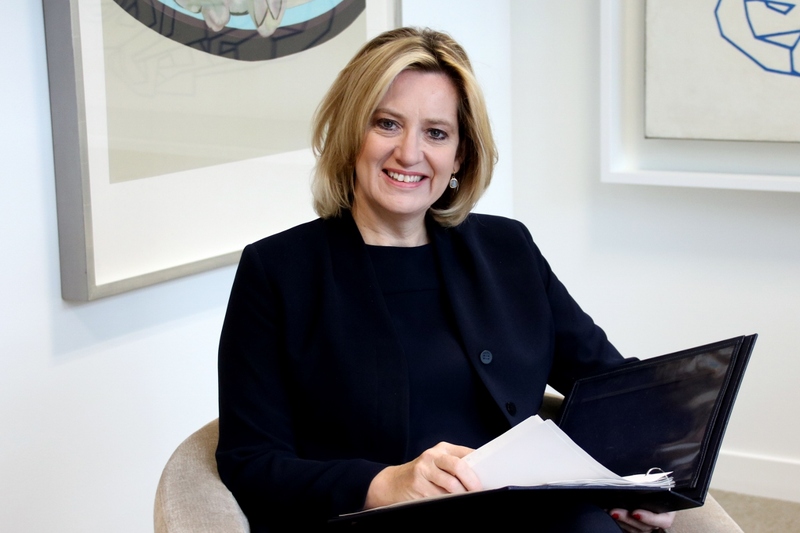 Home Secretary Amber Rudd announced the Government’s new £600,000 investment in a ground-breaking technology project that will remove indecent images of children from the internet at an unprecedented rate. Alongside this, Ms Rudd also announced the impending consultation on cracking down on the prevalence and use of offensive and dangerous weapons. The Home Secretary said more than half a million pounds worth of investment in ‘Project Arachnid’, a cutting-edge web crawler that can process thousands of image hashes per second. One image of a child being subjected to abuse can be replicated thousands of times across the internet. And each time an image is viewed the child is further victimised and exploited. Arachnid helps prevent such re-victimisation by detecting copies of the material, and notifying technology companies so they can respond quickly and effectively. Home Secretary Amber Rudd said: “Spreading indecent images of children online is an absolutely abhorrent crime, and social media platforms cannot be looked upon as safe spaces for sharing hateful material that exploits the most vulnerable in our society. “Through the WePROTECT Global Alliance, we are leading the international response to child sexual exploitation online. We are working with the Canadian Cybertipline, who have partnered with the National Center for Missing and Exploited Children in the US on implementing a world-leading piece of technology, Project Arachnid. “This is a global technology solution to a global technology problem. Protect Arachnid is a real leap forward in terms of our capacity to deal with this sort of vile material. As part of the Government’s efforts to clamp down on acid attacks, Ms Rudd announced her intention to tighten restrictions around the public’s access to sulphuric acid. Sulphuric acid can also be used to make the so-called ‘mother of Satan’ homemade explosive. Amber Rudd, Home Secretary said: “Acid and knife attacks have an absolutely horrific impact on their victims. I am determined that we do all we can to prevent such attacks, and I want to send the strongest possible message that where people break the law in these areas, they will face tough penalties. HOME SECRETARY AMBER RUDD: “There is no place for hate crime in this country and anyone who commits an attack motivated by race, religion or ideology will meet the full force of the law. 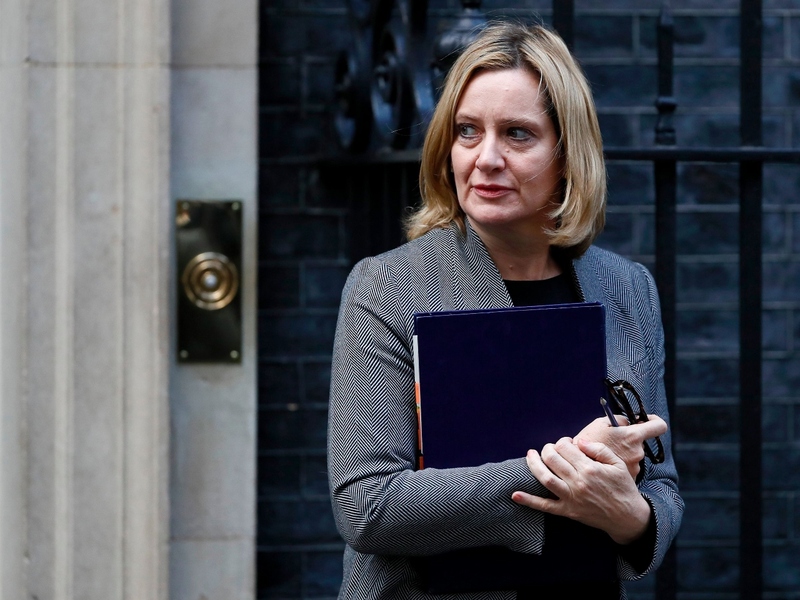 Following the Finsbury Park terror attack Home Secretary Amber Rudd has made an additional £1 million available to protect vulnerable faith institutions, including places of worship and associated community centres. Eligible organisations can now apply for help to provide a range security measures, such as CCTV, cameras, and protective fencing to provide reassurance for their congregations. Home Secretary Amber Rudd said: “There is no place for hate crime in this country and anyone who commits an attack motivated by race, religion or ideology will meet the full force of the law. “People must feel free to practice their faith without fear of violence or abuse, which is why I launched a £2.4m fund last year to provide protective security to places of worship as part of my Hate Crime Action Plan. The new fund, announced by the Home Secretary in the Commons is an extension of the £2.4 million Places of Worship scheme, announced in July 2017 as part of the Government’s Hate Crime Action Plan. In November last year around £400,000 was awarded to 59 places of worship, including 45 churches, 12 mosques, one Hindu temple and one gurdwara.